Pro 12:17 Whoever speaks the truth gives honest evidence, but a false witness utters deceit. One of the best things we can do to help victims of domestic abuse is believe them. This provides them with validation – something they do not receive from most everyone and it is like a life-giving breath for them. I say, believe the victim when she reveals abuse that is happening in her home. Now, the question arises in this regard – “how do we know she is not lying?” A valid question to ask, certainly. There are wicked women as well as wicked men. Both can be guilty of falsely charging their spouse with abuse. So how do we sort it out? One of the most common and damaging answers to this is “well, you know, in all conflicts there are two sides and shared blame.” Really? Many pastors and churches tell abuse victims this very thing. But it is ludicrous. Always shared blame? An evil man murders his wife and children. Shared blame? Hitler invades Poland and slaughters millions. Shared blame? I don’t think so. Let’s just stop repeating this idiotic mantra. Rather, in many conflicts there is an innocent and a guilty party. Our task is to sort it out and identify which is which. When a genuine victim of domestic abuse brings forth her case, there will always be corroborating evidence. That is to say, there will always be witnesses in addition to herself. Always. Now, you may be scratching your head at this point and wondering – “How can there be multiple witnesses besides the victim if, most typically, abusers do their evil deeds out of sight of others? Isn’t it just her word against his? Actually, no. It isn’t. Economic abuse. Refusal to give the victim adequate monies. Barring her from access to bank accounts. Social isolation. Forbidding her from associating with people. Frequently moving her to a new place. Choosing locations that are remote. An obvious philosophy of patriarchy. The victim habitually apologizing for most anything – “I’m sorry, I’m sorry….”. Think about it. If a woman who professes to be a Christian just wants out of her marriage so she can take off with some other guy or “be free,” would she not just do it? The fact is, reporting domestic abuse to a pastor and church is NOT an easy way out. That is to say, Christians who come forward and report domestic abuse are almost always telling the truth and they are ALWAYS telling the truth when some of the above “witnesses” are present, which they most certainly will be. 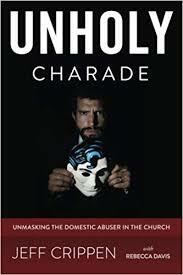 In all my years now in ministering in this area of domestic abuse in the church, I have talked to I suppose hundreds of abuse victims. Only about 4 or 5 have been phonies and the truth about them was not that hard to sort out. In fact, my suspicions were around right away and confirmed later. So when I say “believe the victim,” I am not saying “believe every single person always in every case who says they are victims of domestic abuse just because they said so.” Nope. What I am saying is, you can believe them IF you are willing to learn about abusers and their tactics and thus able to spot the additional witnesses that corroborate the victim’s testimony. Statements like those were very hurtful to me, especially because I told very few people about the decades of abuse that I had been subjected to by my “Christian” husband, fearing that I would not be believed. He was and still is a very charming man who knows how to put on a convincing act. BELIEVE THE VICTIM! It will be easy to spot the few who are lying as Pastor Crippen said. The majority are not only telling the truth, but probably leaving out a lot of horrible details, because they don’t want to be called a liar. I have also prayed with hundreds of female abuse victims (survivors) and I know that there are many thousands more still living in abusive situations with “Christian” men. We must continue to be supportive and encouraging to every one of them who has the courage to come forward and tell her story! Thank you Pastor Crippen for speaking truth, and Praying Lady for your vulnerability! We are not alone in this fight! Praying Dad, I am very sorry to hear about your daughter’s situation. You are a wonderful dad to reach out on behalf of your daughter. I don’t want to be discouraging, but I would not expect much help from the church where your daughter’s father-in-law is a leader. Your daughter and her friends need emotional and spiritual healing for the trauma they have suffered. Our hearts, minds and spirits are seriously wounded by emotional pain and trauma, especially from this type of abuse. The good news is that Jesus can heal the deep hurts that deceptive, evil men have caused. This blog and Pastor Crippen’s other blog, Light for Dark Times, are great resources for the Scriptural truth about this pervasive evil in the church. Natalie Hoffman is also a survivor of “Christian” spousal abuse. She has a website, flyingfreenow.com, with information that may be helpful and encouraging to your daughter and her friends. A lot of the information on the website is available at no charge, but Natalie does charge a fee for subscribing to her support group. I am not at liberty to reveal my identity at this time. My ex-husband and I are very well known in the state in which I live and the Lord has not yet released me to make my horrible nightmare public. However, I am still in ministry and hope to be able to help other women who have gone through similar abuse by telling my story publicly soon. Info for Praying Dad and Praying Lady – I am not familiar with flyingfreenow.com. We left the link here in the comment, but I just wanted you to know that this does not mean we endorse the site as I am sure you understand. A cursory overview of the site shows that there is good material there, but she does include Chris Moles on her resources list and we do not endorse Moles at all. As always, we all have to read with discernment. Thanks for your comments both of you. Thank you Jeff for looking into the link and sharing your insight. I will do my due diligence. Thank you, Pastor Crippen for looking into the flyingfreenow.com website. I knew that you would do so and I appreciate your comments. My suggestion was not meant to be an endorsement either. I am not familiar with Chris Moles, but I trust your judgement. I was just referring to the good material and always recommend that people use discernment when reading anything on the Internet. We must be wise as serpents and innocent as doves. Thank you, again, for all of your work to shine the light on these issues! Vomit. Sheer vomit. Putrid in the Lord’s eyes. I could not agree more!! I tried to “fix/help” my ex for over three decades and nothing worked. As an abuse survivor myself, I know that the church needs to get a clue, believe the victim and STOP trying to fix evil. I just about lost it when I read the italicized paragraph about always other witnesses and evidence, as abusers are cunning and make sure not to beat the wife when other people are present. Thank goodness for what you wrote next, about the other, overlooked, evidentiary indicators. Economic abuse is in every abuse case. It just is. Same with the eventual stress related effects to the victim’s well being, health, psyche. The social isolation is super important, too. Even if the victim is allowed to go out into the world, see others, be in contact with her family, the abuser is controlling those interactions (even from afar). He is monitoring what she says, where she goes, listening in on her phone calls, having her report to him where she was, who she spoke to, what she spent, why she took so long, etc. Even if it’s not explicitly dictated for all situations and scenarios, the abused woman knows to keep the secret, to protect the abuser, as her life, her family members’ lives, etc. are on the line. If the abuse is severe enough, just telling the pastor anything, letting on any little thing, is a HUGE deal. She’ll likely feel disloyal in doing so, too. It’s unreal how much trauma bonding can take place, how much brainwashing can be done, so even if she’s been beaten unconscious, repeatedly raped, strangled/suffocated, and so very much more, she’ll feel it’s her fault, that she is to blame, that she’s being disloyal/gossiping by saying anything, and on it goes. And that dang “two sides to everything” is such nonsense, same with the shared blame baloney. A man who murders his wife is said to have momentarily ‘lost it’ yet somehow society accepts that a different victim, say children for example, are not to blame. I recall a man who killed his wife and buried her body with nonverbal children in tow and eventually it became time for them to die, too, as questions were being raised and the kids were starting to talk. Anyhow, the guy murdered his kids and suicided via blowing up the house they were in. No ‘two sides’ nonsense there. No ‘lost it’ there. Yet, people seem to think other murder-suicides (where the abuser kills his wife, and then himself) are somehow different and the wife somehow supposedly pushed him into murdering her. Nope. It’s all about control, destroying someone. Leaving doesn’t end the abuse. It merely changes it. This is so serious. I think abuse is probably the biggest health crisis and threat to society. Women’s lives are ruined by men’s violence, abuse, and oppression. Children’s lives are marrred by watching it. How many boys watch their fathers beat their mothers and then turn into woman-beaters themselves? Amen, Anon! One time when I told my ex that I was going to tell people what was happening, he said, “if you do that, you will destroy our ministry!” So I kept my mouth shut for over a decade longer. Big mistake that almost cost me my life. The secrecy demand is a huge indication that the abuse needs to be revealed and the abusive relationship needs to end. I wonder about that ‘destroy the ministry’ thing, too, but in a different way. Think about how hypocritical we Christians look to outsiders when we don’t condemn and purge the evildoers among us. Same with pastors. Especially with pastors. I realize pastors are human and all, but they should be some of the holiest around. I mean, the round of applause, the standing ovation that Andy Savage got made for a widely reported news story. Interesting how the devil and abusers pervert things. The ministry is precious indeed and genuine Christians want to preserve such, with the world looking for ways to go ‘aha, aha!’ about Christians they revile and dislike. Lying in wait, seeing where someone might slip up. Abusers want us to believe that it is bad and wrong of us to say anything about what they have done. But we victims must fight such. It only serves the abuser’s purposes. I find it astonishing how verse 22 has been plucked out of Ephesians 5 and used to justify abuse and condemn those who leave, while the the rest of the chapter is ignored! I too had a significant change of perspective when I read the whole chapter, although speaking out about abuse is proving to be a dangerous occupation. Have shared this post with several others. Thank you. Yes, the misuse and weaponizing of Eph. 5:22 is so widespread. The Bible happens to have many other verses, yet one singular verse is plucked out and harped on, and so many Christian woman pay the price. Speaking out is very dangerous. It is costly. And it is way easier to stay silent, to overlook, to dismiss, to discount, to pretend it away. But that is being complicit with evil when given actual options to do otherwise (and it’s understandable why many don’t say anything or oppose abusers because they become targets of wrath and abuse then, too), so silence cannot be continued. But I don’t blame many who are silent because it is so very risky, dangerous, and difficult to speak out. But I figure if you aren’t actively opposing evil (abusers), you are helping them. For or against. It is a simple binary. God hates the wicked and if we love God, we are to hate evildoers, too. anon: So very true. I’d like to add that the same ‘trauma bonding’ or, rather, misplaced loyalty, can be at work in regards to pastors and other leaders. It is very unpleasant to share why I no longer want to associate with my ex pastor. It is such a huge stigma to be labeled as a disgruntled ex member, who goes around to backbite and slander him… But I believe the truth should be told, whenever necessary. It has placed me in very akward situations, as I was invited to his (new) church and I did not feel sade to share why I was so dead set against attending and participiating in any way in promoting a man who has built his ministry in tearing others down, ruthlessly attacking anyone who dared to disagree with him, use people’s confidential info against them and outright lied (‘felixible truth’)..
Oh yes, ‘There is no perfect pastor’, ‘no perfect congregation’, but that does not justify outright abuse. NGL: Good for you in being wise and yet courageous is simply resisting and refraining. Labels are such handy weapons. “Disgruntled ex-[fill in the blank]” is such a useful weapon for abusers. Abuser-pastors, abuser-employers, abuser-spouses. I hate that one as I have yet to see it not be used to smear a victim. Seems to be abusers who wield that weapon of a label. Much like the ‘vindictive, scorned, jilted wife’ discrediting/smearing/dismissing label. I hate that false argument from abuser apologists — as though victims are actually looking for perfection and their concerns are but trivial demands of perfectionists. What baloney. But it is a widely-used abuser-apologist ‘argument’. That is so very true about ‘magnifying glass’! As if there was a need for one. In hindsight it is easy to say that the abusive tactics (silent treatments, angry outbursts, sarcastic jabs at anyone he was not happy with and so on..) were all out there plainly visible. We in the congregation would go around on eggshells to avoid his seething angry moods, trying so hard to please him and get some crumbles of kindness which he charmingly bestowed on visitors. Later, I can see that he showed his real nature and character so openly, it was futile to try to whitewash it. Abuse is abuse, and I would not tolerate such attitude from a Christian leader any more. For years I was influenced by the teaching / mentality which said, if you were mistreated and abused by your pastors, you should just bear it faithfully since that was God refining your character… I wonder, why is it not taught instead that those pastors and leaders might need some character training instead, to properly treat their congregants with kindness and dignity?! Absolutely love this post! So right on! Will be sharing this!